YouTube is a great website, from which you can study English, learn how to cook, watch free movies, and have some other fun.To hack YouTube and get better experience, you can check out the following top 10 Chrome extensions. Easy Youtube Video Downloader is available for you to download YouTube videos as MP4, FLV and/or MP3 files. Turn Off the Lights is for you to watch YouTube videos in a cinema. After installation, there will be a lamp button in the address bar, click the button, the page will be fading to dark, click again, the page will return back as normal. 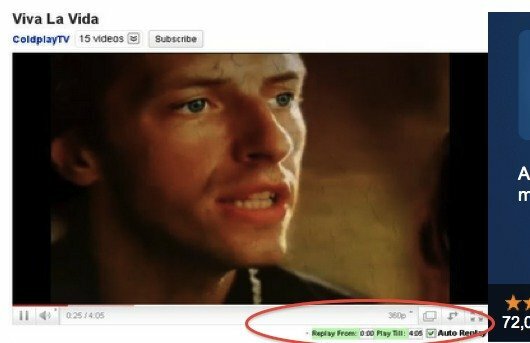 As the same, Stop Autoplay for YouTube won’t play any video automatically until you click the play button, but it will also allow pre-buffering. 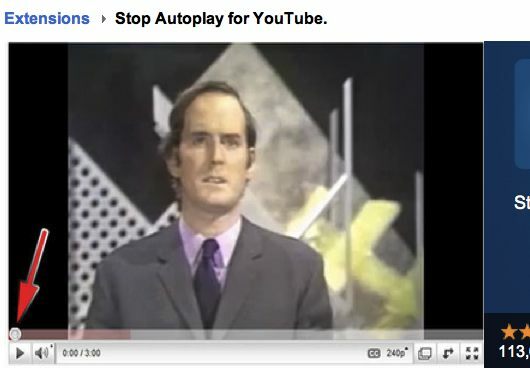 Auto Replay for YouTube will add an auto replay checkbox in any Youtube video page, and you can select a portion of the video and play it again automatically. 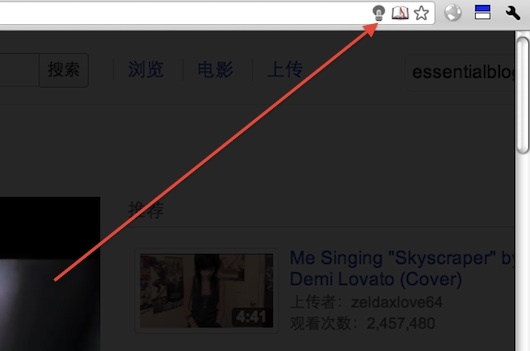 The YouTube Feed extension will notify you when new videos are available in your YouTube homepage. Those videos are that your friends or subscriptions have uploaded, favorited, liked, commented on, etc. Music Video Lyrics for YouTube will show you the lyric for the YouTube music video you are watching automatically, but it’s only workable for English songs. 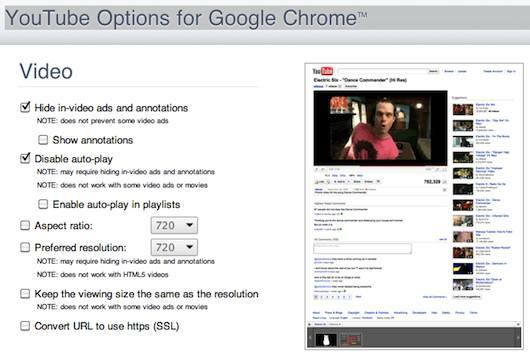 You can do quite a lot things with the Chrome extension YouTube Options for Google Chrome™, such as to hide in-video ads, to disable auto-play, to choose the video resolution, and so on. Besides YouTube, it is also workable with Vimeo, DailyMotion, Metacafe and some other video websites. With Magic Actions for YouTube™, you can control over volume by scrolling mouse wheel, start play all videos in HD, make the whole page shaded, manage whether or not the initial video will autoplay, etc. 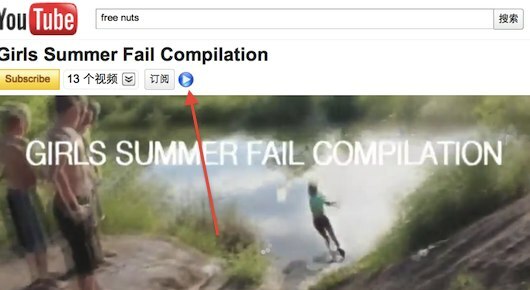 Besides YouTube, this extension is also workable for any webpage with an embedded YouTube video. 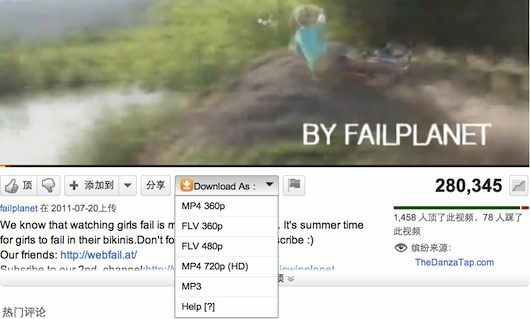 With the extension Auto HD For YouTube, you can play all the YouTube videos in 240P, 360P, 480P, 720P or 1080P first and automatically. In addition you can specify if you want the player widened. Skip ads on YouTube is for you to skip the ads inserted in the beginning of a video (excluding a movie). After installation, there will be a blue play button under the video title, click the button, you can skip the current ad and start the main video. Among the above 10 extensions, except Easy Youtube Video Downloader, all the other 9 are from Chrome Web Store.